I had someone who submitted a form "Nanny Application" named Jennifer Craig yesterday. It never came through. I am hoping it is saved somewhere??? Is there anything we can do to make sure this type of thing does not happen? The form they are filling out takes 2 hours+ and we have had quite a few people say they submitted and it never came through. I checked the mail logs of this form (https://www.jotform.com/21526262888158) and I didn't see any "Jennifer Craig" listed on the full name. 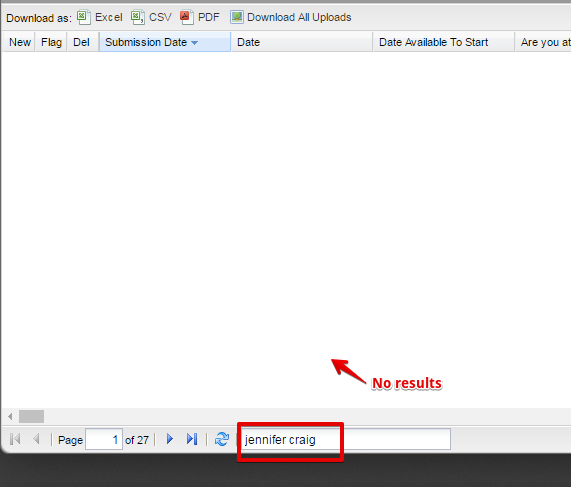 I also checked the submissions area and search for "Jennifer Craig" and I didn't find anything. Since it is not in the mail logs and not in the submissions page, it is possible that the form was not submitted. Did you receive any email notifications in your inbox? If yes, then can you please share the submission ID? If this form is embedded on a webpage, please try re-embedding it using the Iframe method to avoid script conflicts.